The VI All-Russian Olympiad in Russian language among international university students was held from January 27 to 30, 2018 on the basis of Plekhanov Russian University of Economics (Moscow). 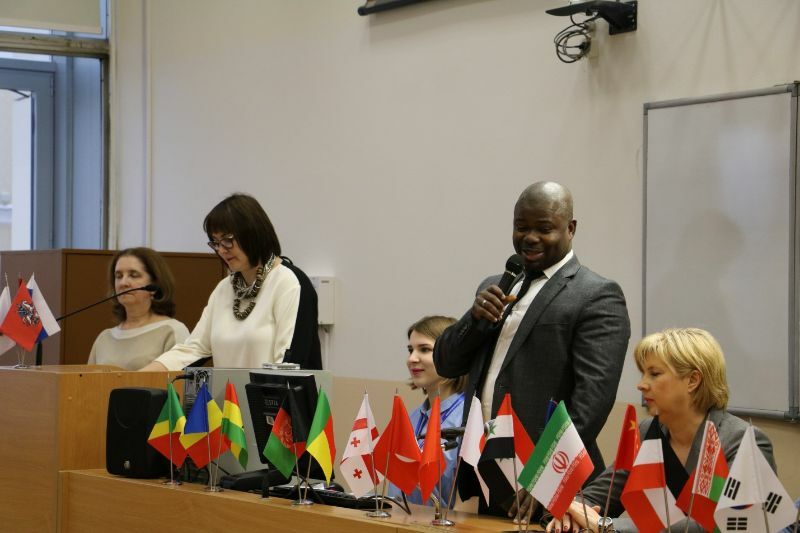 More than 700 international students took part in the first, correspondence, stage of the Olympiad, 52 foreigners from 22 regions of the country successfully passed it, they were invited to participate in the II, in-person, round. 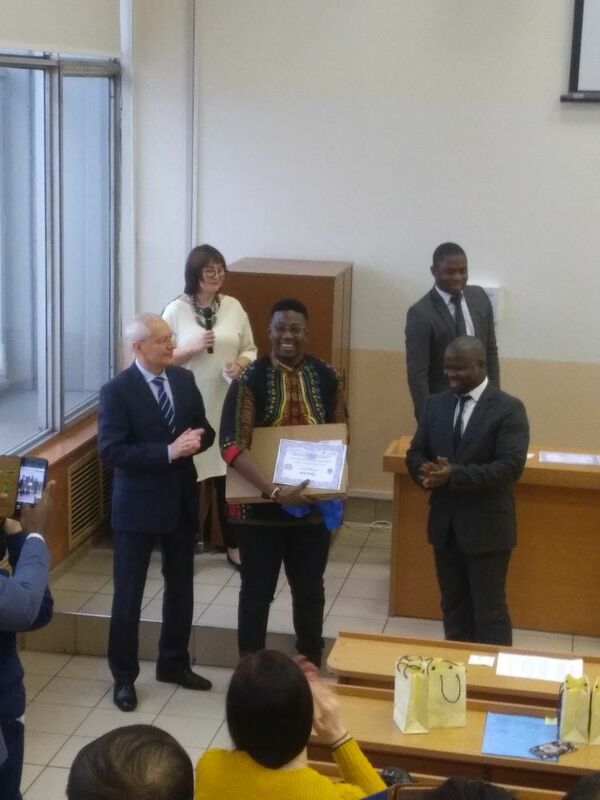 Rostov State Medical University introduced the fourth year student of treatment-and-preventive faculty Amegninu Messan Jacques Carlos (Togolese Republic), who took 1st place. The high level of linguistic preparation of our delegate was marked by the event organizers with a diploma of the winner and a valuable gift. 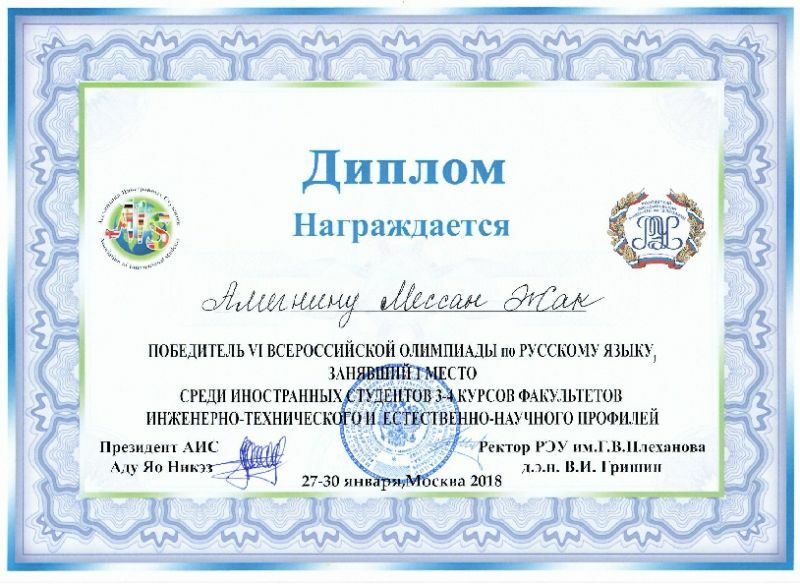 RostSMU International Department and the Department of the Russian Language and Culture of Russian Speech congratulate the winner and wishes him further success. Welcoming speech of the President of the Association of Foreign Students Adu Ya.N.